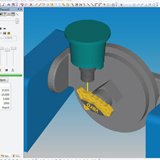 Alphacam is leading CAM software for milling from 2-Axis through to 5-Axis programming. The emphasis behind the development of Alphacam is to provide our customers with productivity, reliability and flexibility. Renowned in the metalworking industry for ease-of-use, Alphacam can contour, pocket, engrave and hole-drill complex parts. 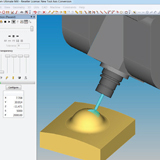 Functions such as 2.5D multiple depth cutting, pocketing with an unlimited number of islands and tool radius compensation can be controlled using its intuitive user interface. Advanced Mill even offers roughing and finishing strategies for complex 3D surfaces, STL and solid models. 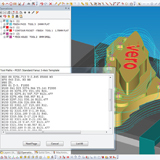 With its powerful post-processing ability, Alphacam can generate NC code for any machining centre. Multiple 3D rough and finish machining strategies of surfaces, STL models and other native CAD models are available within Alphacam. These strategies can be applied to any work plane, allowing for 3 plus 2 machining to be programmed using Alphacam on 4 and 5-Axis indexing machines. Alphacam’s Ultimate module is capable of 4 and 5-Axis simultaneous machining of surfaces and 3D trim curves.